The flakiest crust I’ve ever come across, this supple dough is made with one whole egg and a touch of vinegar. It bakes up melt-in-your-mouth tender, yet the dough is easy to handle when chilled. This month my Blogger C.L.U.E. 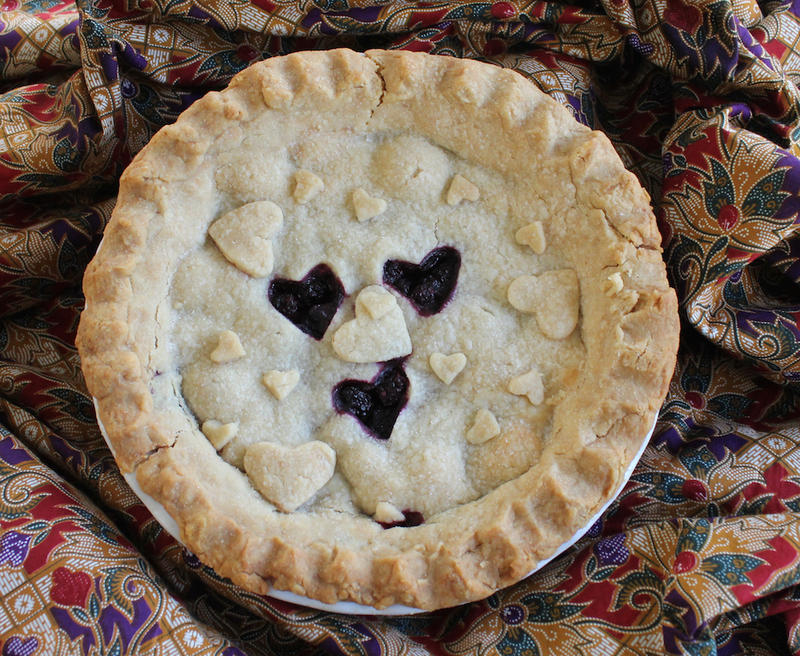 Society is hunting for pie recipes and other holiday deliciousness in our assigned blogs. As I mentioned in my Black Forest Fruit Pie post, I was supposed to be poking around Making Miracles, which I did with some delight. But it also occurred to me that perhaps Rebekah wasn’t going to be up to baking with the care of her son on her mind, so I decided to choose a recipe to make from A Spoonful of Thyme, the blog that she was assigned, just in case. Since pie was our clue, I started with a search and turned up quite a few possibilities, some savory like Kathy’s Cottage Pie and her Steak and Guinness Pie or sweet like her Spiced Apple Pie, her deconstructed Bluebarb Pie and the divine Apple Galette with Salted Caramel. How to choose just one? The whole plan changed with that apple galette though when I followed the link to Kathy's pie dough of choice and found the recipe for Aunt Orlean’s Pie Crust. 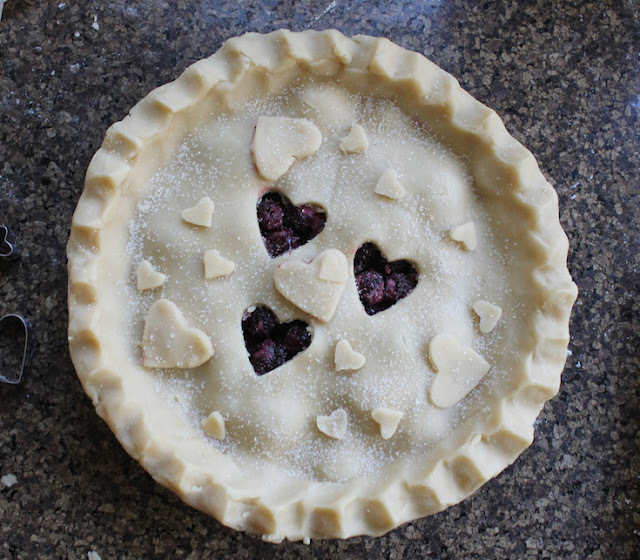 I’ve been reading about traditional southern piecrust recipes with vinegar – many bakers swear by it – but I’ve never tried one. Since the pie I was going to make for my Making Miracles post said to use the piecrust recipe of my own choosing, I could use Aunt Orlean’s recipe and kill two birds with one stone. Three birds if you count checking a vinegar crust off of my want-to-try list! Win-Win-Win! Slightly adapted from Aunt Orlean’s Pie Dough from A Spoonful of Thyme. Measure your flour and salt into a large bowl. Add the shortening and, using a pastry cutter or two knives, work the shortening into the flour. 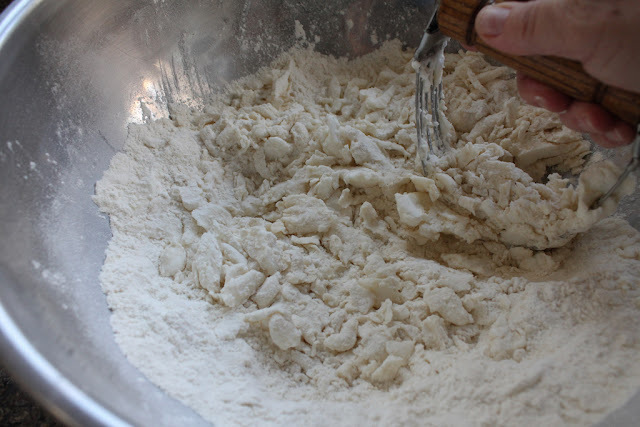 Beat the egg lightly and add it to the flour/shortening and mix it in with a fork. Add cold water a tablespoon at a time and mix it in with a fork, until the dough comes together. I ended up adding only two tablespoons of water. Quickly knead the dough just a couple of turns and then separate it into two pieces. If you are making a two-crust pie, one piece should be slightly larger than the other. 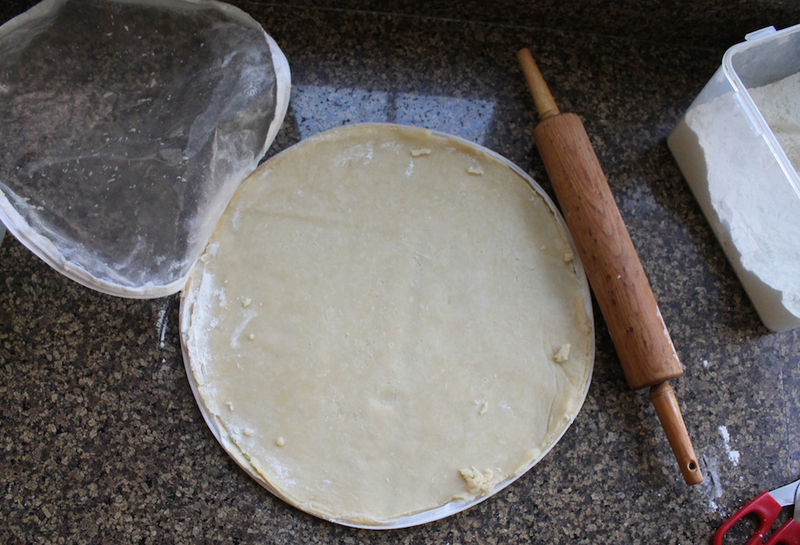 If you are making two one-crust pies, divide the dough evenly into halves. 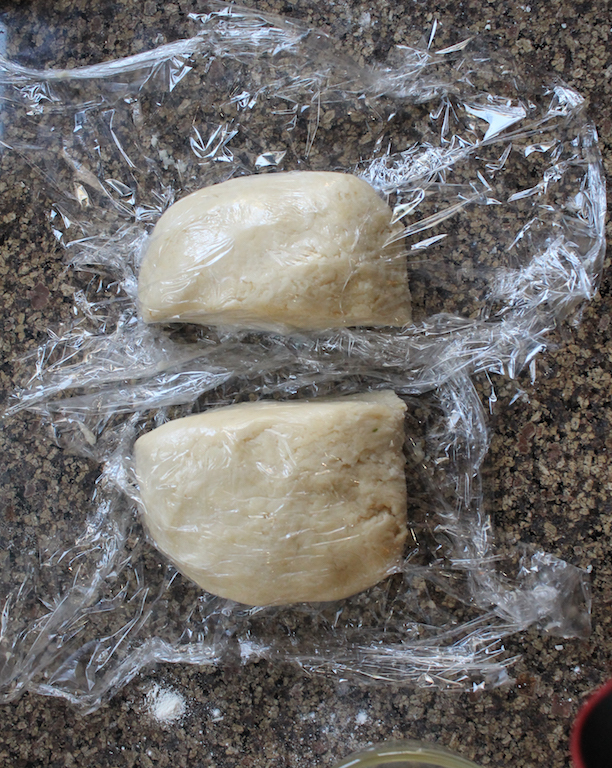 Wrap the dough in cling film and refrigerate until you are ready to roll it out. Kathy says that it also freezes well, securely stored in a Ziploc bag. When you are ready to use it, allow the dough to thaw for about 15 minutes before rolling. When you are ready to bake, roll the dough out on a lightly floured surface or use one of these handy zippery things from the King Arthur website. 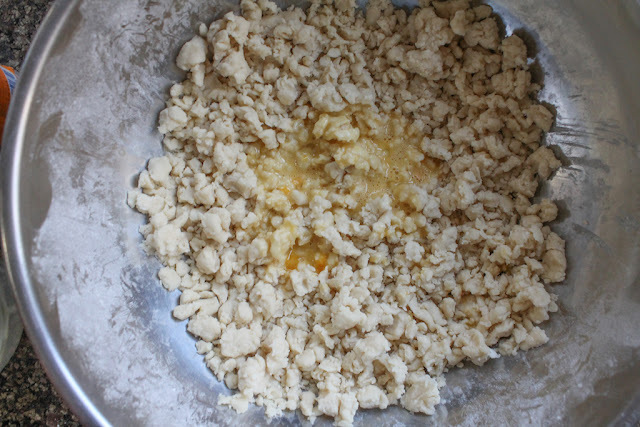 This dough can be used for any pie, sweet or savory. So, how is the crust? If you read my Black Forest Fruit Pie post, you know that it’s the flakiest one I’ve ever made! Easy to handle when chilled, melt in your mouth tender once baked. One teaspoon of vinegar doesn’t seem like much but as the pie started baking there was the slightest aroma of vinegar when I cracked open the oven door to double check the temperature. You don’t taste it at all in the final crust though. All in all, a resounding success! Thanks, Kathy, and my hat is off to your Aunt Orlean! I’ll be using her recipe again and again, that I can guarantee you. Check out all the other special recipes the Blogger C.L.U.E. Society is sharing this month!